The Synesso S200 in black. Photo courtesy of Synesso. Seattle-based espresso machine manufacturer Synesso has soft-launched its fourth official machine model, the S200. 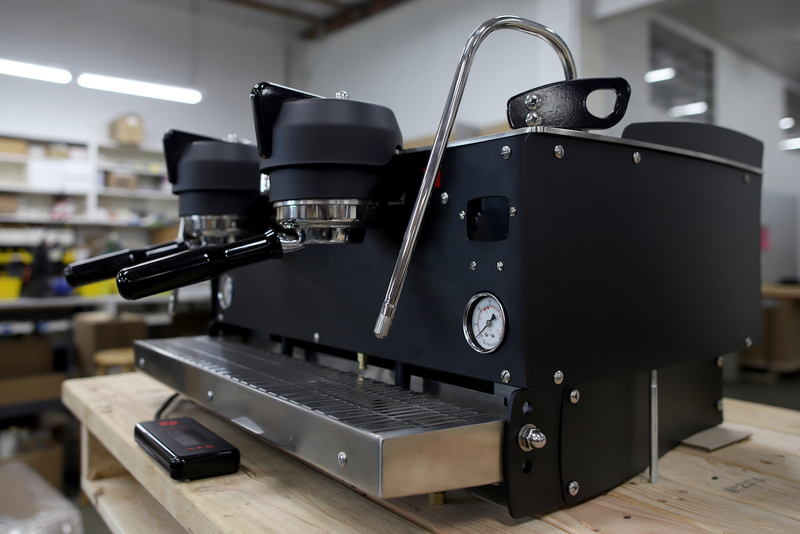 The new machine made its first public appearance at Novo Coffee in Denver earlier this month and was the center of attention at a soft launch party at Capitol Coffee Works in Seattle last week. The S200 is intended to offer a sturdy, all-volumetric yet relatively economical addition to the Synesso range for shops with a smaller footprint. Synesso expects to officially debut the new S200 machine at the 2018 SCA Expo in Seattle. 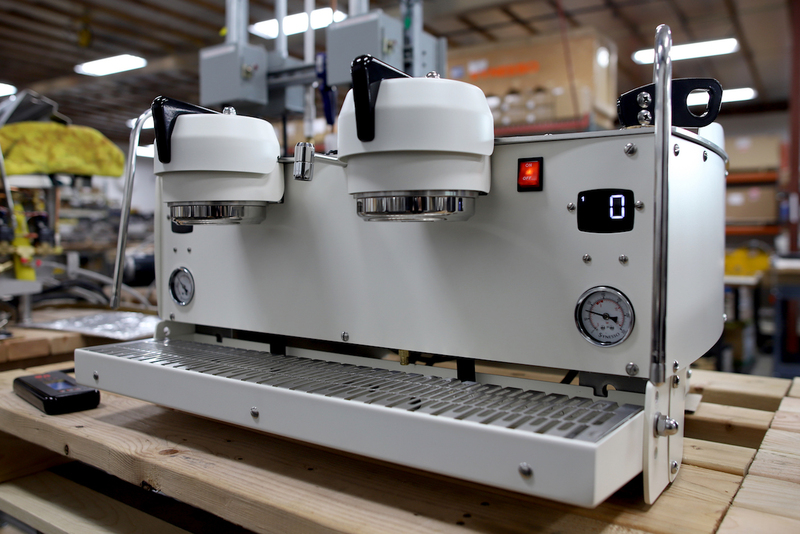 The new machine, with its subtler steam actuators, integrated digital display and streamlined cup rail is also a departure from the upright aesthetic of the Cyncra, MVP and MVP Hydra machines that catch the eye with rising steam actuator handles, pronounced cup rails and top-mounted digital displays. Palmer said that the machine is strictly volumetric, with two pre-sets available per group, totaling four per machine. While the final details of fit and finish are still being decided, Palmer said the machine will likely make its official launch with either an all-black or all-white standard exterior, with additional finishes such as wood or other customizations available. The manufacturer’s anticipated retail price is $11,500. 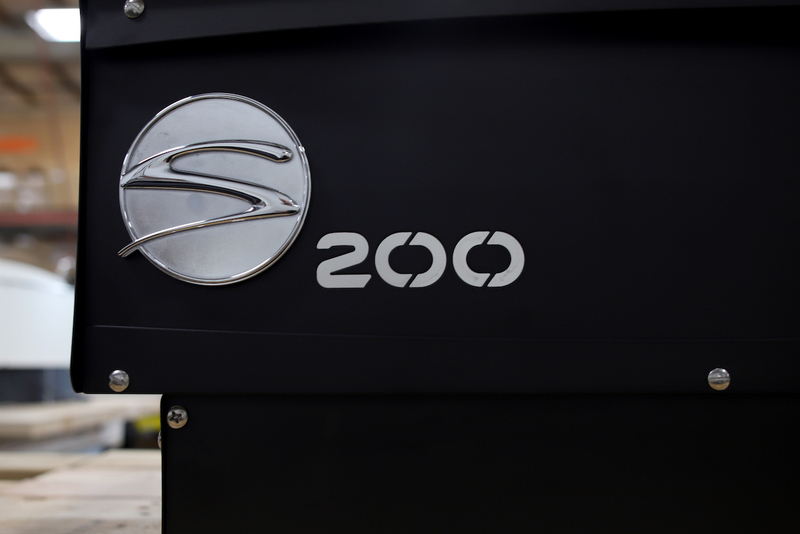 The S200 will continue its soft-launch emergence overseas in March, making appearances in Australia, China, Singapore and South Korea prior to its official launch in Seattle in April. Preorders for the machine will reportedly begin in April at the SCA Expo 2018 event, where the company will also be announcing details of a S200 cafe equipment package giveaway contest. Shipments of the new machine begin in May.